Regular readers may have noticed me slowly losing confidence in the economy. Your impression is correct and there's a good reason for it, as I will explain today. The facts have changed so my conclusions are changing, too. I still think the economy is okay for now. I still see recession odds rising considerably in 2020. Maybe it will get pushed back another year or two, but at some point this growth phase will end, either in recession or an extended flat period (even flatter than the last decade, which says a lot). And I still think we are headed toward a global credit crisis I've dubbed The Great Reset. What's evolved is my judgment on the coming slowdown's severity and duration. I think the rest of the world will enter a period something like Japan endured following 1990, and is still grappling with today. It won't be the end of the world; Japan is still there, but the little growth it's had was due mainly to exports. That won't work when every major economy is in the same position. Describing this decline as "Japanification" may be unfair to Japan but it's the best paradigm we have. The good news is it will spread slowly. The bad news is it will end slowly, too. We'll be discussing how to get through it more specifically at the Strategic Investment Conference next month. It is now sold out but you can still buy a Virtual Pass that includes audio and video of almost the whole event. Click here for information. Before I explain why we will follow Japan, I want to briefly explain how Japan got to where it is. It was a long, slow process that, like the proverbial frog in boiling water, wasn't fully obvious in real time. Japan experienced rapid growth following World War II as the US and others helped rebuild its economy. That wasn't all out of generosity; the country was geopolitically important as a Western bulwark against Russia and China. We didn't want it to fall under the other side's influence. This eventually led to a roaring expansion that culminated in the 1980s Japanese asset bubble, which popped in the early 1990s. There followed what came to be called the "Lost Decade." It was really more than a decade, as the early 2000s brought only mild recovery. 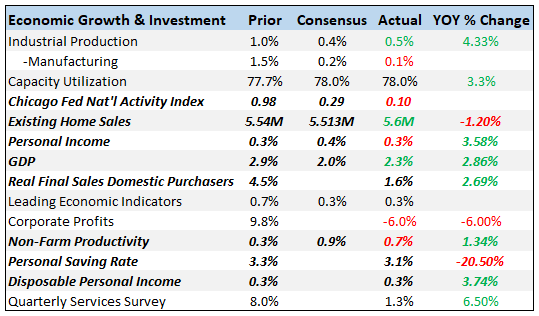 GDP shrank, wages fell, and asset prices dropped or went sideways at best. The Lost Decade had monetary roots, namely the 1985 Plaza Accord that drove the yen higher and inflated the asset bubble. The Bank of Japan tried to pop the bubble with a series of rate hikes beginning in 1989. This chart shows the BOJ's benchmark rate. Upon reaching 6% in 1992, the BOJ began cutting rates and eventually reached zero a few years later. Since then it has made two short-lived tightening attempts, shown in the red circles. Neither worked and that was it; no more rate hikes, period. The BOJ has now kept its policy rate at or near zero for 20 years, making conventional monetary policy essentially irrelevant. The BOJ resorted to increasingly large QE-like programs that also had little effect. Meanwhile, the government tried assorted fiscal policies: infrastructure projects, deregulation, tax cuts, etc. They had little effect, too. GDP growth has been stuck near zero, plus or minus a couple of points. So has inflation. The only thing that really helped was driving down the yen's exchange rate, which successive governments and central bank governors have done enthusiastically. Which I kind of understand... when your only tool is a hammer, you treat everything as a nail. That said, the BOJ's asset purchases certainly had an effect. They more or less bought everything that isn't nailed down, including stock ETFs and other private assets. Japan is a prime example of the faux capitalism I described last week. All this capital is going into businesses not because they have innovative, profit-generating ideas but simply because they exist. That's how you get zombie companies. The result, at least so far, has been neither boom nor depression. Japan has its problems but people aren't standing in soup lines. The bigger issue is that the population is aging rapidly. Many say the present situation can't go on indefinitely but there's no exit in sight. The Bank of Japan has bought every bond it can except those the government will create to fund future deficits, which is why they are buying stocks not just in Japan but in the US as well. They are trying to put yen into the system in an effort to generate inflation. It simply hasn't worked. When you don't have a better answer, the default is to do more of the same. That's the case in Japan, Europe, and soon the US. Charles Hugh Smith described it pretty well recently. The other dynamic of zombification/Japanification is: past success shackles the power elites to a failed model. The greater the past glory, the stronger its hold on the national identity and the power elites. And so the power elites do more of what's failed in increasingly extreme doses. If lowering interest rates sparked secular growth, then the power elites will lower interest rates to zero. When that fails to move the needle, they lower rates below zero, i.e. negative interest rates. When this too fails to move the needle, they rig statistics to make it appear that all is well. In the immortal words of Mr. Junker, when it becomes serious you have to lie, and it's now serious all the time. "Do more of what's failed in increasingly extreme doses" is also a good description of Federal Reserve policy from 2008 through 2016. Zero rates having had little effect, the Fed launched QE and continued it despite the limited success and harmful side effects. The European Central Bank did the same, in even larger amounts than the Federal Reserve also with little effect. Which brings us to the next point: why Europe and the US will follow Japan. As noted in the introduction, I change when the facts change, and in the last few months they did. The Federal Reserve spent 2017 and 2018 trying to exit from its various extraordinary stimulus policies. It began raising short-term interest rates and reversing the QE program. I think it should have done both sooner, and not at the same time, but both needed to happen. In hindsight, it now appears the Fed tried to do too much, too fast. Which was my point when they started the process. Either raise rates slowly or reduce the balance sheet, but not both at the same time. Reducing the balance sheet has an effect on effective rates just as actually raising rates does, but not as obvious. My friend Samuel Rines calculated that when you include the QE tapering, this Fed tightening cycle was the most aggressive since Paul Volcker's draconian rate hikes in the early 1980s. They should have started sooner and tightened more gradually. For whatever reason, they didn't. And so the complaints began. Wall Street wasn't happy but, more important, President Trump wasn't pleased with the rate hikes. Why it surprised him, I don't know. Jerome Powell's hawkish bent was no secret when Trump made him Fed chair. Whatever the reason, the president has made his displeasure with Fed policy clear. But the real deal-breaker may have been the late 2018 market tantrum. Lenders and borrowers alike grew increasingly and vocally distressed as the yield curve flattened and threatened to invert. Then this year it did invert at several points along the curve, coincident with weakening economic data. That was probably the last straw. The Fed hasn't exactly loosened, but there's a good chance it will later this year. Meanwhile, across the pond, Mario Draghi had one foot out the door and until a short while ago had a tightening plan in place. That plan is now out the door before Draghi is even close to gone. So on both sides of the Atlantic, plans to exit from extraordinarily loose money now look disturbingly like those two little circles in the BOJ rate chart when it tried to hike and found it could not. Worse, we are also replicating Japan's fiscal policy with rapidly growing deficit spending. In fact, this year we will be exceeding it. The Japanese deficit as a percentage of GDP is projected to be below 4% while the US is closer to 5%. And given the ever-widening unfunded liabilities gap, the US deficit will grow even larger in the future. Let me give you the Cliffs Notes version of how I think the next decade will play out, more or less, kinda sorta. We already see the major developed economies beginning to slow and likely enter a global recession before the end of the year. That will drag the US into a recession soon after, unless the Federal Reserve quickly loosens policy enough to prolong the current growth cycle. Other central banks will respond with lower rates and ever-larger rounds of quantitative easing. Let's look again at a chart (courtesy of my friend Jim Bianco) that I showed three weeks ago, showing roughly $20 trillion of cumulative central bank balance sheets as of today. If I had told you back in 2006 this would happen by 2019 you would have first questioned my sanity, and then said "no way." And even if it did happen, you would expect the economic world would be coming to an end. Well, it happened and the world is still here. Before 2008, no one expected zero rates in the US, negative rates for $11 trillion worth of government bonds globally, negative rates out of the ECB and the Swiss National Bank, etc. Things like TARP, QE, and ZIRP were nowhere on the radar just months before they happened. Numerous times, markets closed on Friday only to open in a whole new world on Monday. In the next crisis, central banks and governments, in an effort to be seen to be doing something, will again resort to heretofore unprecedented balance sheet expansions. And it will have less effect than they want. Those reserves will simply pile up on the balance sheets of commercial banks which will put them right back into reserves at their respective central banks. During the worldwide recession, there will be few qualified borrowers but a great demand for liquidity as corporate debt goes from investment grade to junk seemingly en masse. Which will disqualify them from being bought by pensions, insurance companies, and many other purchasers normally looking for yield. The inverted yield curve is a classic sign that the central bank, in this case the Federal Reserve, has tightened monetary conditions too much. Which is why Trump wants the Fed to lower rates now (plus he doesn't want a recession in an election year) and Powell and the Fed turned so dovish. I will admit the Fed's $4 trillion balance sheet expansion surprised me at the time. Fool me once, shame on you. We've now seen the new playbook. At a minimum, they will keep the balance sheet at its present, barely-diminished size and eventually add a lot more when we go into recession. I think $10 trillion is almost a sure thing by the mid-2020s, by which point we will have been through our second recession. Why? Because we will see a new government at some point that raises taxes enough to actually send a still-weak economy into another recession. That's pure speculation on my part but is what I foresee. What assets will the Fed buy? Under current law, that's pretty predictable: Treasury securities and a few other government-backed issues like certain mortgage bonds. That's all the law allows. But laws can change and I think there is a real chance they will - regardless of which party holds the White House and Congress. In a crisis, people act in previously unthinkable ways. Think 2008 - 2009. They will think the unthinkable in the next crisis and try everything, including the kitchen sink, but it will just increase government debt. And as Lacy Hunt has shown us from numerous sources in the academic literature, and I've tried to explain, that debt will be a drag on future growth. Another reason to expect a $10-trillion Federal Reserve balance sheet is that US government debt will be north of $30 trillion. On top of that, in the next five years the credit markets have to fund $5 trillion of corporate debt rollovers, plus new debt, plus state and local debt. It won't be coming from outside the US and there is only so much that banks and big pension funds and individuals can do. Unless the Federal Reserve steps in, interest rates will soar and the crisis will become much worse. It will have little choice but to step in and buy US government debt. Yes, I know this is a self-fulfilling prophecy, and it has to end. But the question is when? We're already seeing serious analysts say it really doesn't have to end. This from none other than Goldman Sachs. Daan Struyven and David Mericle, economists at Goldman Sachs, said the example of Japan could prove instructive as the world's third-largest economy had not suffered a debt crisis, even though it arguably has the most public debt as a share of its GDP in the world. Japan's government debt-to-GDP ratio sits at 236% in 2017, more than double that of the US, which stands at 108%, according to the International Monetary Fund. I could spend the entire letter giving you quotes like that from mainstream economists. Note you can quibble with the exact numbers but in any case, the Bank of Japan holds at least 100% of Japanese GDP in debt, plus an enormous amount of Japanese stocks, not to mention global stocks. The Federal Reserve holds roughly 35% (give or take) of US government debt. Can we even imagine the Federal Reserve at some point holding $20 trillion of US government debt? I don't think the Japanese imagined that 20 years ago. I keep saying we have to think the unthinkable as we plan for our futures because I can guarantee you that future leaders will. When there is a true crisis "they" (whoever they may be) will be looking for action and "do nothing" will not be an option. Maybe it should be, but that is a metaphysical argument for another day. They will do something. Quantitative easing is now on the table and I think will be almost a reflexive move during the next recessioncrisis. So, will we have Japan-like flat markets and low growth for years on end? Will we create a demographic crisis by limiting immigration? Public pensions and insurers are already struggling to meet obligations after years of low rates. Those betting on 7% returns (and many are) won't make anything close to that. This will make government debt and state/local pension fund obligations a massive problem that the Federal Reserve and the US government right now are not politically or legally capable of handling. Will we change the rules in the future? Tell me who's going to be in charge during that crisis... and then let's ask the question. But will it play out over a longer period of time than we might think now? Almost surely. Yet the world will not end and, for those paying attention, will be a better world. Stay tuned and stay with me. Let me know what you think, too. If you like it, I will gladly do more. Next What Do IQ Tests Really Measure?